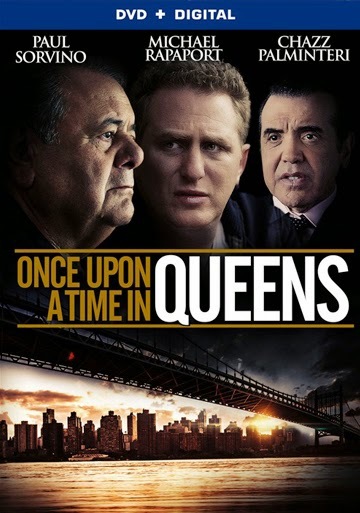 “The Sopranos” meets Goodfellas in Once Upon a Time in Queens, arriving on DVD (plus Digital), Digital HD and Video on Demand November 11 from Lionsgate Home Entertainment. Nominated for the New America Cinema Award at the Seattle International Film Festival, the film stars Paul Sorvino (Goodfellas), Michael Rapaport (TV’s “Justified”) and Academy Award® nominee Chazz Palminteri (Best Actor in a Supporting Role, Bullets Over Broadway, 1994). Sorvino “shines” (scene-stealers.com) in the “damn fine film” (Beyond Hollywood) as former Mafia boss, Joe Scoleri aka “Mister Joe” on a nostalgic journey to find his place in the world after 20 years in prison. Containing a behind-the-scenes look at the making of the film, the Once Upon a Time in Queens DVD. After spending 20 years in federal prison for a myriad of crimes, ailing Mafia boss Joseph “Mr. Joe” Scoleri is released with a strict requirement not to interact with his old contacts in the mafia. – and to ensure this, an FBI tail follows him. He quickly realizes that while the world around him may have changed, the habits of a mafia boss die hard. Mob Rules, really it's their rules!